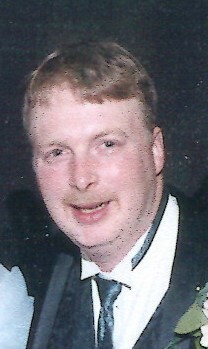 Daniel Lee Stringfield, 54, of Wadsworth, passed away unexpectedly, Monday, April 8, 2019. He was born June 30, 1964 in Wadsworth to Jerry lee and Verble Stringfield. Daniel was a graduate of Wadsworth High School Class of 1984 and was an avid Wadsworth Sports fan and an Ohio State and Cleveland Browns Fan. He was preceded in death by his father Jerry Lee Stringfield in 1999, his maternal grandparents: Harold and Irene Matheny, paternal grandparents, Arthur and Pauline Stringfield and his aunt Emma Reed along with several additional aunts and uncles. Daniel is survived by his mother Verble Stringfield of Wadsworth, brother and sister-in-law David and Mimi Stringfield of Chillcothe, OH, sisters and brothers-in-law, Vicki and Randy Cromer of Wadsworth Twp. Jennifer and Mike Barnes of Wadsworth, nieces and nephews: Tiffany, Katie, Amanda, Drew, Erin, Megan and Jeremy, several aunts, uncles, cousins and his best friend George Whitehurst. A memorial service will be held 7pm Thursday at the Hilliard-Rospert Funeral Home, 174 N. Lyman St., Wadsworth where family and friends will be received 2 hours prior to the service from 5-7pm.